There are around 6,026 housing units and an average of 5,934 households located in Sharon MA. 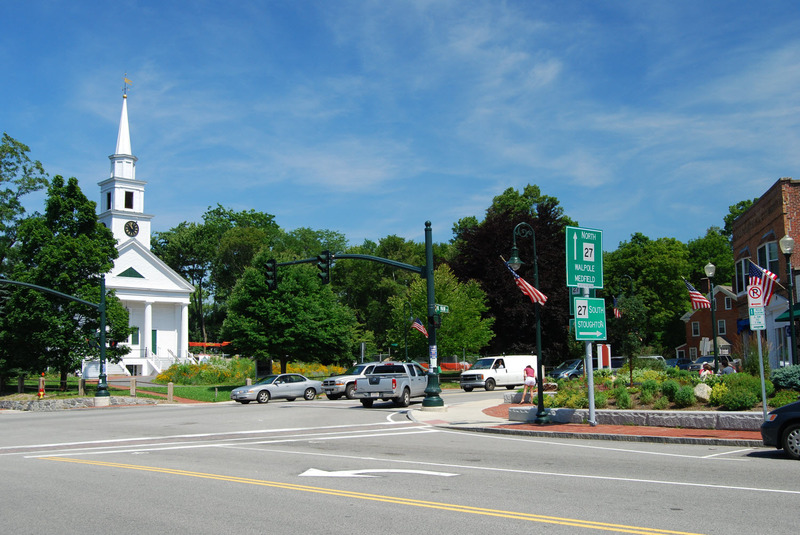 Making it one of the larger towns in the greater Boston area. Sharon is also located in the New England and everyone knows what that means, unpredictable weather. From storm filled winters to scorching hot summers the tumultuous weather of New England can definitely impact the health of your roof. Aqua barriers specialized in residential roofing for all your roofing needs. Aqua Barriers has over two decades of experience dealing with shingles, slates, wood shakes, and metal panel systems and any other roofing system you may encounter. Our highly trained technicians are committed to quality and are all certified GAF contractors. Our service crew responds to calls 24 hours per day 7 days per week and are equipped to make various repairs to your roof. Aqua Barriers will make sure your roof is prepared to handle anything the New England weather throws your way. If you are a resident of Sharon MA and in need of roofing repair contact Aqua Barriers schedule a consultation today.